This post is a quick summary of how to enable multisite on your WordPress install. 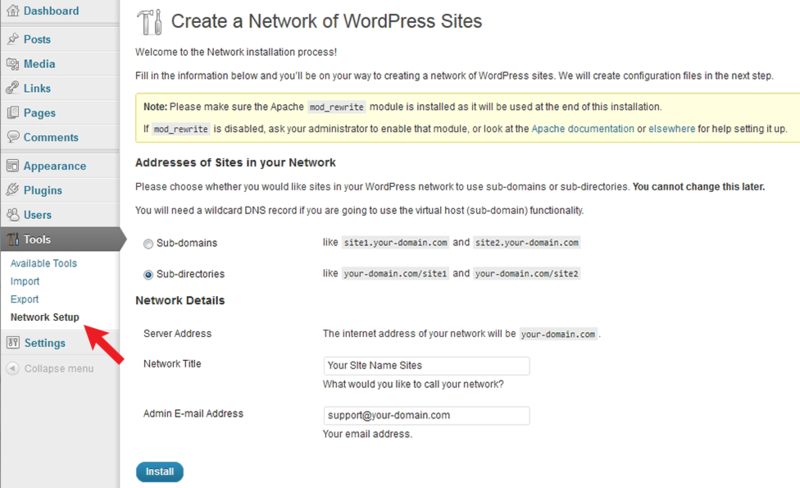 You should be starting from a fresh WordPress install, anything else can cause issues. 2) Click on the “Tools” menu item in the dashboard. You should now see a new item “Network Setup”. 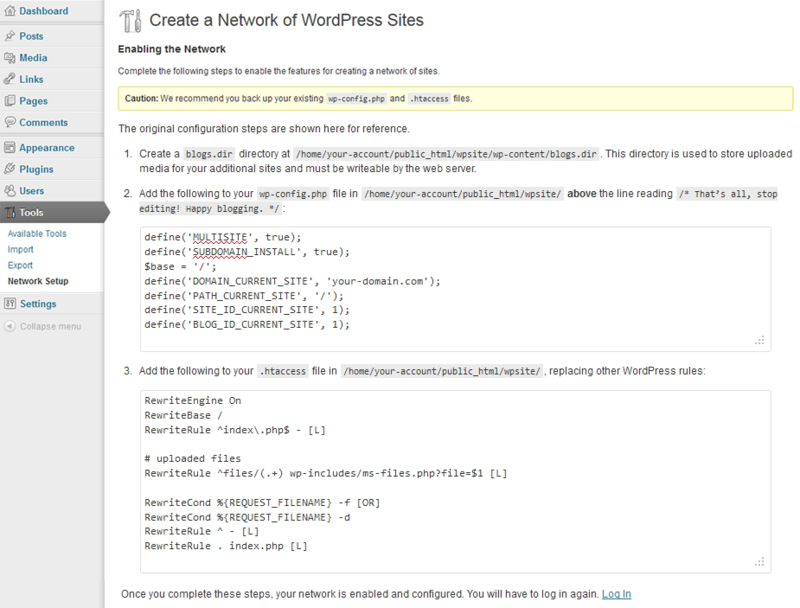 Click on “Network Setup”, and complete the Create a Network of WordPress Sites page. If you are not sure about the options, see the ebook above. 3) You will get a page that looks something like this after clicking install. Follow the 3 steps on the page to complete the setup. NOTE!!! Your settings will be different from the ones shown below. 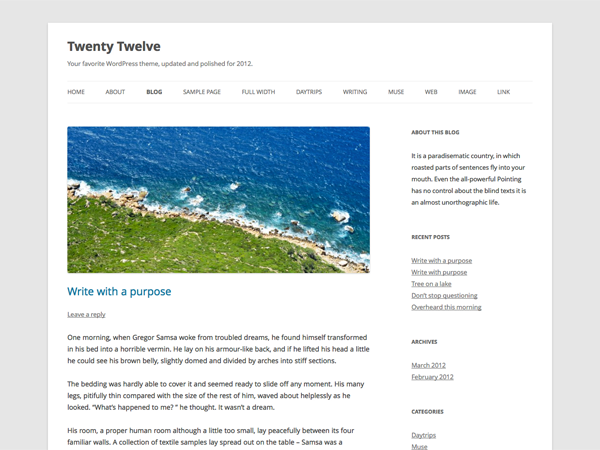 Login to your site and you now have a network of sites or “multisite”. There are many config settings that should be checked before using your site, see the ebook for details if you are not familiar with configuring a network of sites.